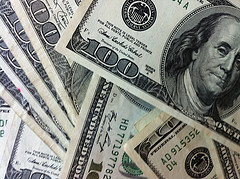 Be that as it may, someone will occasionally say something really inconvenient – like when, back in April, the St. Louis Fed warned that the American Middle Class was “under more pressure than you think,” a situation the bank blamed on the diverging fortunes (literally) of the haves and the have nots in the post-crisis world. The implication – made clear in the accompanying graphics – was that QE was effectively eliminating the Middle Class. 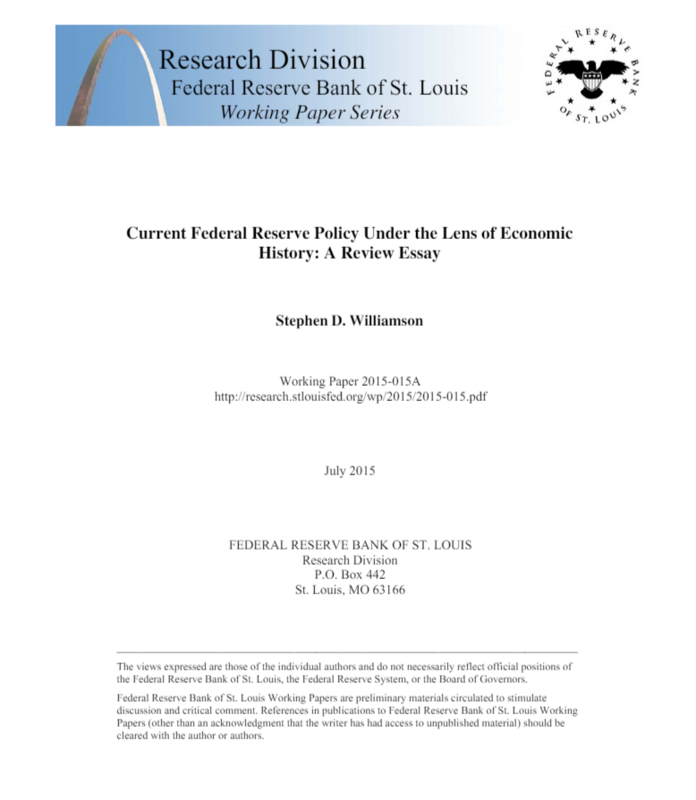 Now, the very same St. Louis Fed (this time in the form of a white paper by the bank’s vice president Stephen D. Williamson), is out questioning the efficacy of QE when it comes to stoking inflation and boosting economic activity. “All of [the] research is problematic,” Williamson continues, as “there is no way to determine whether asset prices move in response to a QE announcement simply because of a signalling effect, whereby QE matters not because of the direct effects of the asset swaps, but because it provides information about future central bank actions with respect to the policy interest rate.” In other words, it could be that the market is just reading QE as a signal that rates will stay lower for longer and that read is what drives market behavior, not the actual bond purchases. There is no work, to my knowledge, that establishes a link from QE to the ultimate goals of the Fed inflation and real economic activity. Indeed, casual evidence suggests that QE has been ineffective in increasing inflation. For example, in spite of massive central bank asset purchases in the U.S., the Fed is currently falling short of its 2% inflation target. Further, Switzerland and Japan, which have balance sheets that are much larger than that of the U.S., relative to GDP, have been experiencing very low inflation or deflation. A Taylor-rule central banker may be convinced that lowering the central bank’s nominal interest rate target will increase inflation. This can lead to a situation in which the central banker becomes permanently trapped in ZIRP. With the nominal interest rate at zero for a long period of time, inflation is low, and the central banker reasons that maintaining ZIRP will eventually increase the inflation rate.But this never happens and, as long as the central banker adheres to a sufficiently aggressive Taylor rule, ZIRP will continue forever, and the central bank will fall short of its inflation target indefinitely. This idea seems to fit nicely with the recent observed behavior of the worldís central banks. Thus, the Fed’s forward guidance experiments after the Great Recession would seem to have done more to sow confusion than to clarify the Fed’s policy rule. So in sum, the vice President of the St. Louis Fed has taken a look around and discovered that in fact, not only have trillions in asset purchases not worked when it comes to creating “healthy” inflation and boosting growth in the US, these asset purchases haven’t worked anywhere they’ve been tried. Furthermore, he’s noticed that central bankers that adhere, in a perpetual state of Einsteinian insanity, to the Taylor principle, will never be able to raise rates and finally, he thinks that the more the Fed talks, the more confused the public gets about what it is the central bank intends to do.